Civil society organisations promoting open society enjoyed enormous expansion in the developing and post-Communist worlds of the 1990s. Today, they face serious contestation from groups with different values and states that fear their legitimacy and want to control them, as well as persistent underfunding. What new actions are civil society groups taking, how are governments reacting to these and which groups should the international community support? 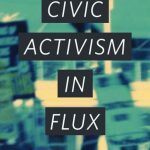 Join us for a discussion with authors of a recent Carnegie Europe report, Civic Activism in Flux, and with Helmut K. Anheier, President of the Hertie School of Governance and co-author of a report for the G20 on enabling policy environments for civil society. The event will be chaired by Alina Mungiu-Pippidi. The event will be followed by a light reception.